Fabulous Followers We Are Pimping Paleo. 2014 – It’s a wrap. The lovely people at Wordpress started my day off with the 2014 WordPress Annual Report for Paleo with Cream. It was very cool to have Paleo with Cream reviewed and I am happy to say the report card came up trumps! So indulge me as I reflect on 2014 before we say “that’s a wrap” and head on into 2015. Paleo with Cream was created as a place my family and I could easily find my growing collection of healthy, Primally Inspired, paleo-ish, Low Carb, High Healthy Fat, whole food, clean eating recipes. Some of these are my own, some I have tweaked and many are my favourites from other blogs. Then something happened; Fabulous Followers, Perfect Poppers In and Casual Passers By. All of you deserve a virtual hug and a big thanks for taking the time to visit, to comment, to share and to cook-up what you have found here. Your visits inspired me to create more yummy recipes, tasty treats and to post them here. So then, let’s do a recipe round up for 2014! May – How exciting my first blog post and yes, it had to be pizza! But what a pizza it was – Sweet Potato and Bacon with the Cauliflower crust thanks to Mike. Out into the interwebs this post went and so it began. June – Mixed Berry and Coconut Almond Cheesecake. Now a family favourite and I am so happy as there is now another primally inspired cook in the family who loves to make this as well! July – Shepherd’s Pie with Cheesy Sweet Potato Topping, the best comfort food you could have on a cold New Zealand winters night. A very old favourite from my childhood. I can remember my mother making this with leftover lamb mince and mashed potatoes! August – A New Zealand favourite is Ginger Crunch and there are a number of cleaned up primal and paleo recipes around. One of the most viewed recipes on Paleo with Cream is Macadamia Ginger Crunch. So tasty that the cafe in the building where I work cooked it up using Brazil nuts (although now I think about it, they didn’t give me a free slice!). September – Some find it difficult to make Mayonnaise, and I did too. Until I figured out that you need a very mild flavoured oil and you need to drip feed this into the mix as slow as you can, while beating furiously (so you need a food processor). Easy as! So a useful recipe to have on hand to combine with salads, make into Aioli (just add garlic, duh!) and add as a tasty blob on the top of scrambled eggs. 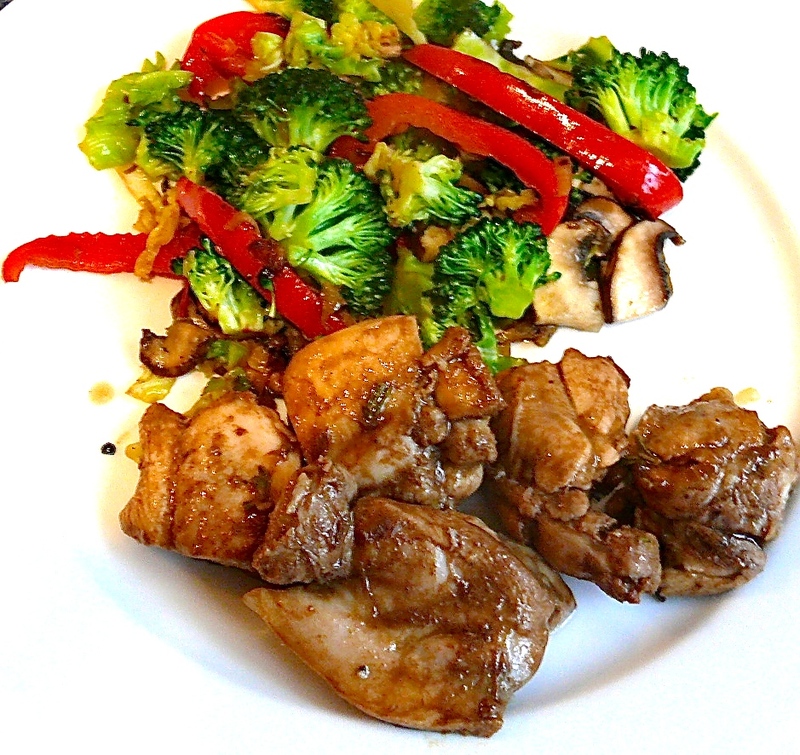 October – Balsamic & Rosemary Chicken with Stir Fried Ginger Vegetables has to be one of my favourite meals. Tasty juicy chicken pieces and crunchy vegetables. A flagship for whole food eating, even if I say this myself! November – Sweet muffins that are healthy, seems a bit of an oxymoron, (I had to look that up), or as I prefer to say, Pimping Paleo!! These Orange, Cranberry & Strawberry Muffins were inspired by Lisa Wells recipe on Cook Eat Paleo. Try them with a dollop of mascarpone cream. December – Well, December was my disappointing month in the kitchen; creativity has been pretty zip. I’ve been busy cooking up old favourites for my visiting family rather than inspiring myself to create new. So, reblogging others creativity was the theme of this month and this one has to be the most festive around. Gingerbread Cake and Maple Cream Cheese Frosting, so thanks Sharon! Finally, here are the three most favorite recipes of the year and not a vegetable to be seen. Pimping Paleo seems wins hands down! My personal favourite and a cake that inspired the creation of Paleo with Cream! Chocolate Fudge Cake with Strawberry Cream. Lovely Lemon Tart – Lemons from my tree, inspired this slightly sweet and slightly tart lovely and gooey lemon tart. 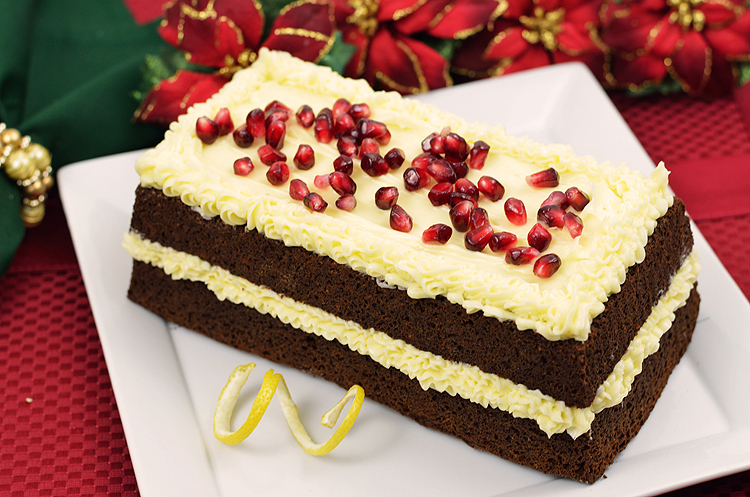 And chocolate wins hands down as the most favourite, the most viewed recipe that smashed the record for 2014. Double Chocolate Coconut Cookies with Bitter Chocolate Ganache. Now be good and use 85% quality, organic chocolate or be indulgent and use 70%, only don’t blame me for the sugar spike!. So that’s it, I hope you are inspired to try some or all of these. See you all in 2015 when I will continue to create, collect and share recipes. I will also be expanding the blog to incorporate a section on the trials and tribulations I will be facing as I go for my Primal Blueprint Certification – thanks to my partner in life for the most amazing Christmas present! Keep eating whole food not processed, cook from scratch (yes it’s hard work), base your meals Primally, Paleoee, Low Carb High Healthy Fat-ty or whatever your N=1 experiment does to keep you healthy. But most of all, go happy into the New Year! That’s it – 50th post – 2014 it’s a wrap! Every time I get your email update I think that we should connect and compare notes – it’s always nice to have someone else in the same boat (even if it’s sinking, haha). Love your blog! And all the best to you both as well, I agree, here’s to successful blogging in 2015!